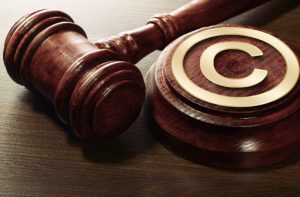 Copyright can be difficult when there is a dispute and both parties contributed to the copyright, trademark or the patent. This can become costly in litigation and it is always best to speak to a lawyer about IP law in Thailand. AB and BC are joint owners of a copyright in literary works. Without authority from AB and BC, DB reproduced a copy of the copyrighted work through the use of a photocopying machine. The copies of the whole textbook and some of its essential chapters were later on sold by DB to the public, again without the consent of the joint owners AB and BC. Hence, AB and BC filed a case against DB for infringement of their copyright. AB and BC also asked the court for a confiscation of the machines used to commit the offense charge. DB however claims that his act cannot be considered as an infringement because the same falls within the exemption for copyright infringement as the same was for research and educational work because the copy of the said literary works were given to students. Whether or not the reproduction of the copyrighted works fall within the exemption from copyright infringement. No. DB is guilty of copyright infringement. In the case of Public Prosecutor v. Somsak Thanasaraseranee, decided by Thailand Supreme Court dated April 04, 2000 which is similar to the case presented, the court ruled that because a person who copied a copyrighted work is guilty of copyright infringement especially so because he was the one who initiated the copying and not the students. Thus, DB cannot claim the defense of “fair use” because it is clear that his acts were not conducted for research and educational purposes but for commercial and profit purposes. Hence the act of DB constitute literary work infringement.